On behalf of the FSU Elections Committee, thank you to all who voted in the NTT Special Election. Congratulations to Monique Fuguet as your new NTT representative on the FSU Executive Committee. The Special Election for the NTT vacant seat on the FSU Executive Committee has just gotten underway. You should have received an email from Ballotbin, our electronic voting service. The ballot contains the names of the four candidates along with their candidate statement. Please vote for one candidate. The last day of voting will be Monday, November 6, 2017 (polls will close at 9AM). On Thursday, November 2nd, a reminder email will be sent to those members who have not yet voted. The following four individuals have submitted the required paperwork to be a candidate for the open NTT position on the FSU Executive Committee. Below is the candidate, their title and statement. Mark your calendar for these important dates. 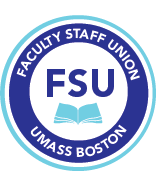 Meetings are open to union members in good standing only (if you are an agency fee payer and wish to change your status or you have not yet joined but wish to do so, contact the FSU). ► FSU Annual Meeting: Wednesday, April 26, 2 pm Crossley Lounge W 6 47. Please join us!